THIS TROPICAL HOME IS A GEM! 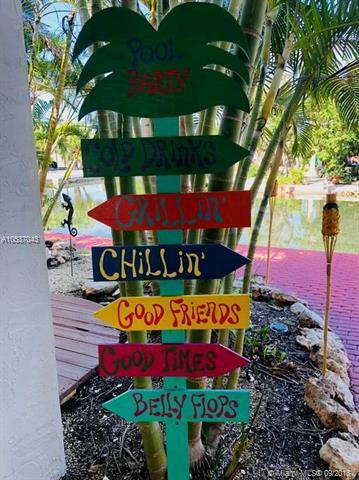 RIGHT ON THE WATER OCEAN SIDE WITH 60 FEET OF DOCK WHERE YOU CAN ENJOY BEAUTIFUL MORNINGS AND AFTERNOONS. 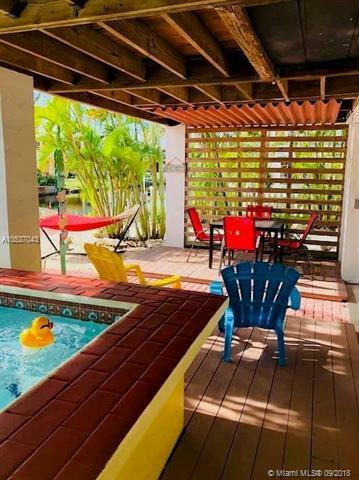 THIS HOME IS TOTALLY REMODELED WITH NEW BATHROOMS, SEPARATE LAUNDRY ROOM WITH SINK AND NEW WASHER AND DRYER, NEW FLOORS, KITCHEN, COMPLETELY FURNISHED WITH STAINLESS STEEL APPLIANCES. 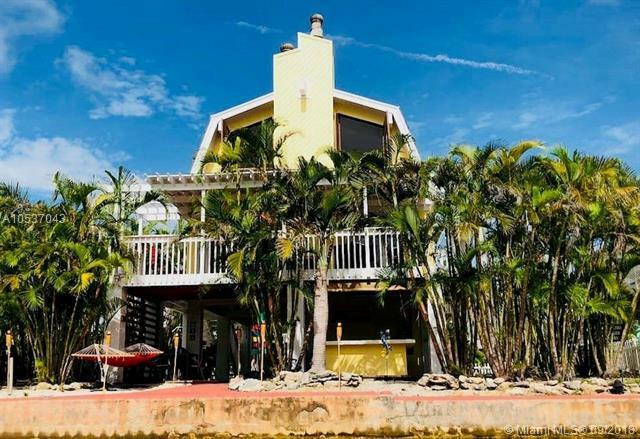 THIS UNIQUE HOME IS NOT YOUR TYPICAL FLORIDA KEYS HOME, UNIQUE STRUCTURE IS VERY SPACIOUS WITH CEILING FIREPLACE, WOOD PLANK WALLS, EXTRA STORAGE ROOMIDEAL FOR ENTERTAINING AND LARGE FAMILIES TO ENJOY ISLAND LIVING JUST 20 MINUTES FROM KEY WEST. THE PROPERTY IS BEING SOLD COMPLETED FURNISHED. A MUST SEE!